This West Galway 110/38kV substation project (known as Uggool substation) is to facilitate the connection of renewable energy, which will be generated from Galway Wind Park and other wind farms located west of the N59 between Moycullen and Oughterard, to the transmission system. The Uggool substation will connect to the Knockranny 110kV substation. 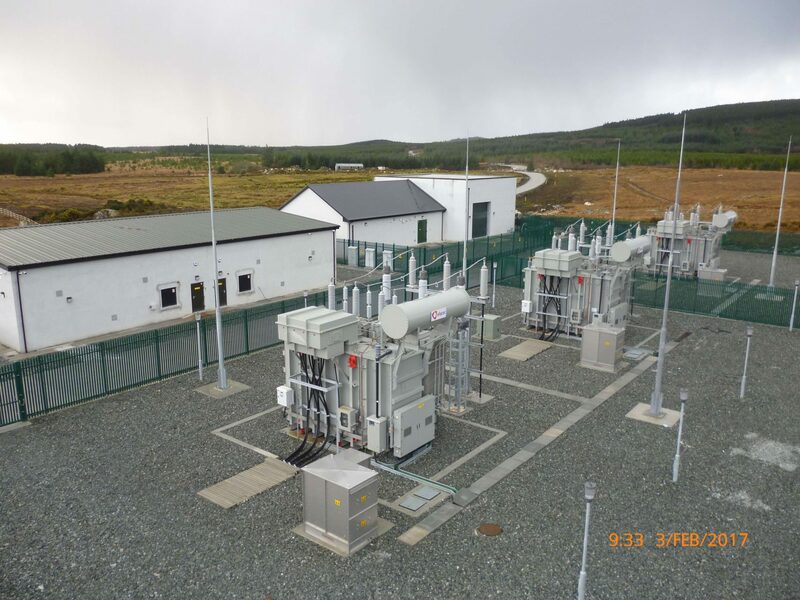 The Knockranny substation will be connected to the transmission system via a loop-in of the recently constructed Salthill to Screebe 110kV overhead line and a future 110kV UGC between Knockranny substation and Galway 110kV substation. Suir Engineering’s works comprised of the following: on-site 33kV electrical infrastructure design, procurement and installation work as well as the termination and testing of all cables between the Uggool substation and WTGs. It also included the partial contestable build comprising all, civil, structural and electrical design and construction works of the 110kV grid substation at Uggool. 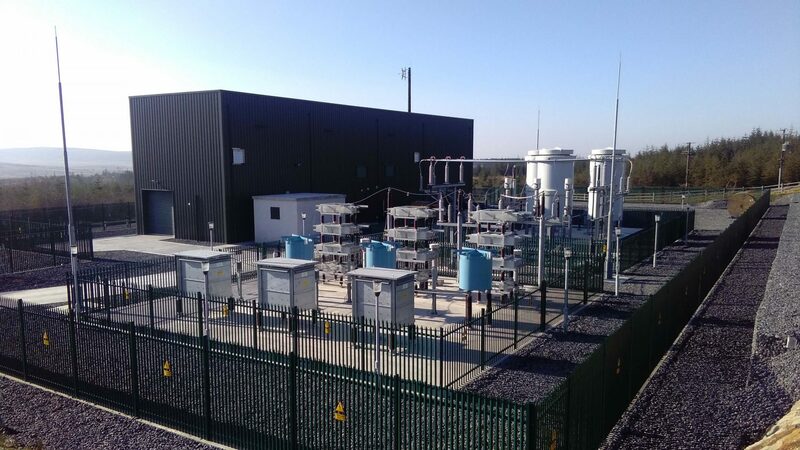 In the Letter area, Suir Engineering undertook the design and construction of the fully contestable Knockranny 110kV grid substation, comprising all civil, structural and electrical design and construction works, in accordance with the EirGrid Functional Specifications. This included the design, supply and installation of the loop in of the existing Salthill-Screeb 110kV OHL to the Knockranny 110kV substation, and the 110kV cable from the Knockranny 110kV substation to the Uggool 110kV substation. Design, manufacture, delivery, erection, testing and commissioning of 3 110kV grid transformers for the Uggool 110kV substation.